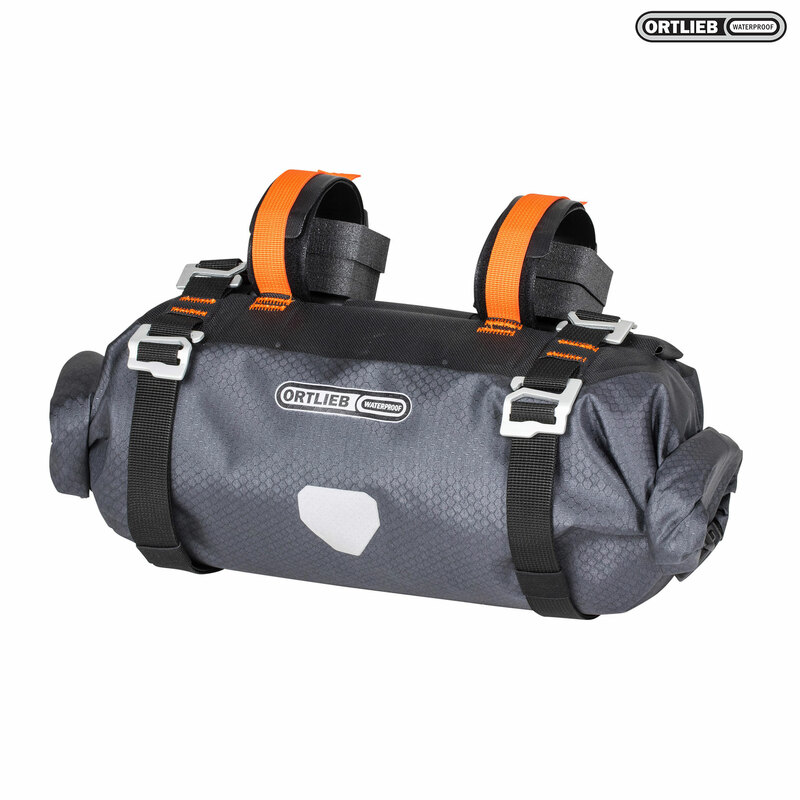 The Ortlieb Handlebar Pack S is a member fo the compact class of bikepacker handlebar rolls. With a length of only 40cm, this waterproof handlebar roll is the right selection for bikepackers with off-road drop bars, road-bike handlebars or hybrid-bike handlebars. Although this handlebar roll has a narrow width and is especially lightweight, it offers a payload of 9 litres, which means it gives you ample space for large-volume, but lightweight items such as sleeping bags and sleeping pads. The roll closures on both sides enable quick and convenient access while reliably keeping your stuff dry even in the pouring rain. The Handlebar Pack S can be securely attached to any handlebar type using the mounting system, which consists of spacers and two sturdy and highly adhesive Velcro straps. The special material that stiffens the inside of the bag and its secure attachment to your head tube guarantee stability even on rough terrain.